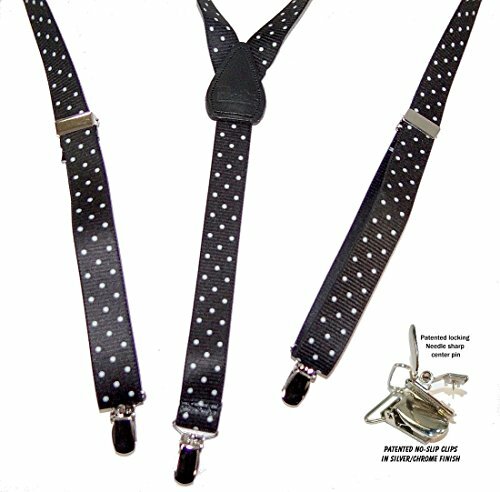 White Dot pattern suspenders for teens, TOTALLY UNIQUE and the gals, like our model Sammi, love em! Something entirely new in teen suspenders. 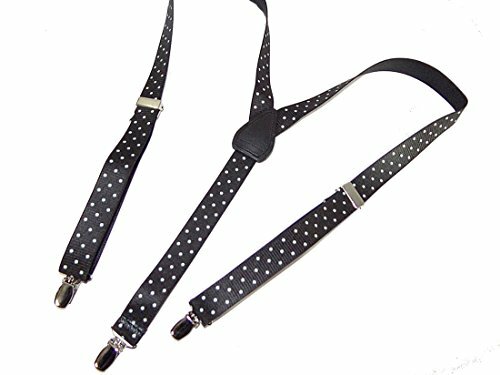 These Urban Youth suspenders are made shorter and narrower, 42" long by 1" wide, for a trendy fashion statement. Dressing up with these is an inexpensive way to set off any type outfit with a unique look. 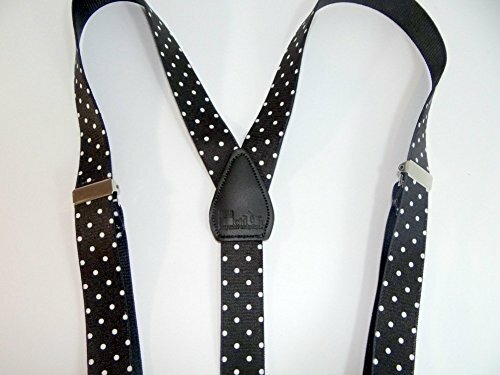 For years our customer base included women and the shorter teenagers who wanted suspenders made just for them. 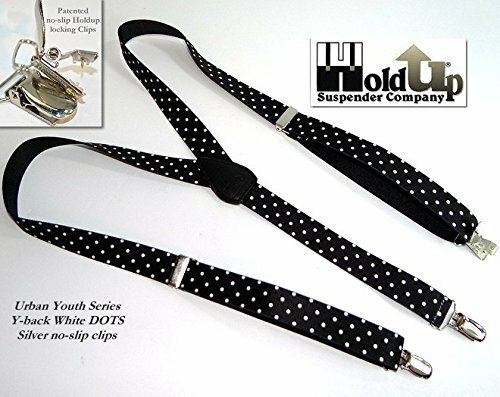 Now they have the Urban Youth Series clip-on suspenders with clips and elastic straps that hold up year after year. 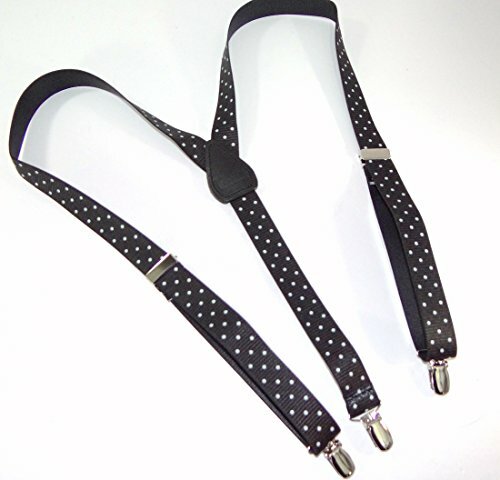 Runway models worldwide are sporting our patented clip-on thin/skinny suspenders in all types of creative ways. Wear them with jeans, dress pants, shorts and skirts. 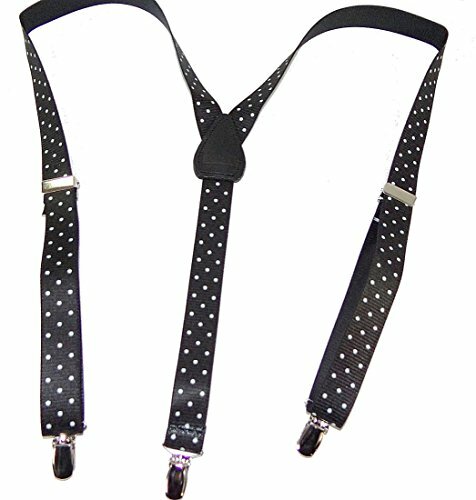 These are 1" wide suspenders and 42" long with stain resistant fabric in a Y-back style. 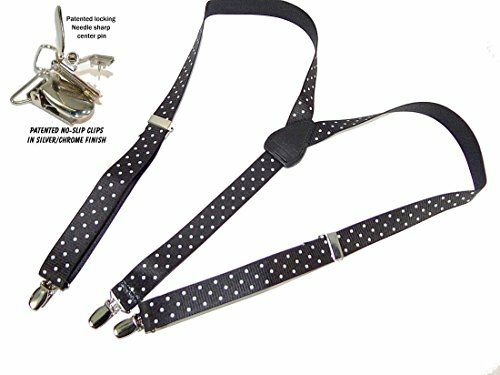 Buy a pair of these White Dot pattern HoldUp suspenders for guys and gals and change your look with just the snap of a clip. 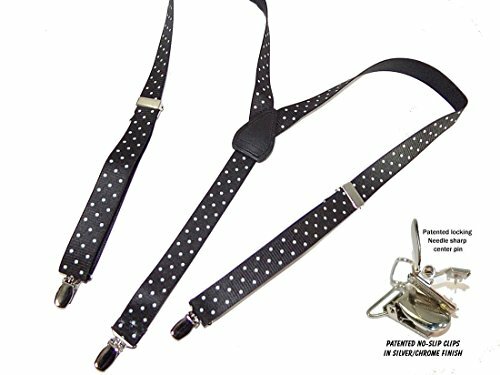 We offer eight thin suspender pattern choices including this white dot pattern here at our HoldUp Suspenders Amazon storefront.